To more easily describe the process, I created an example family. To export all of the Types along with the parameters, go to the File tab on the ribbon, then go down to the Export option. 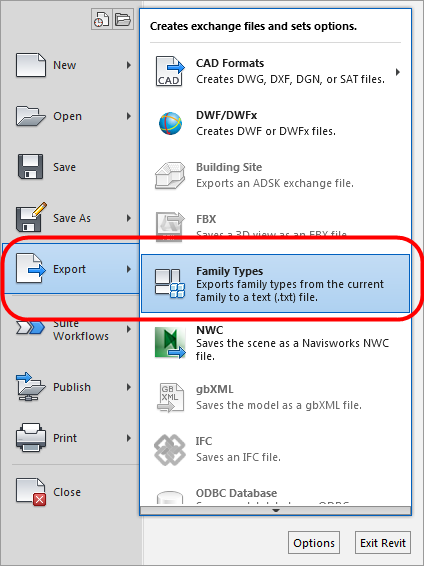 On the Export flyout, select the Family Types command. In the Export As dialog box, specify the folder and file name for the ASCII text file, then pick the Savebutton. The text file created above can be used as the Type Catalog. Notice that the Notepad version has all of the information displayed in one continuous line. If you are familiar with working with Type Catalogs, you will notice that the WordPad version is the format which you are accustomed to seeing. The text file should work fine regardless which text editor you utilize to open the file. The text file can be opened in Excel for modification by using the Comma Delimited option in Excel when opening the file. 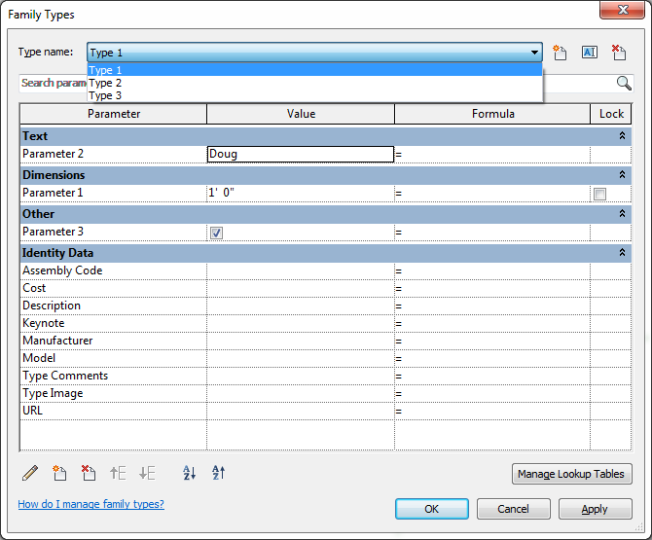 1.Parameters added to the family by the user are exported even if they do not have an assigned value. 2.System type parameters that were included as part of the family template and do NOT have a value, are NOT exported. They will be exported if they have a value for any of the types. 3.You will typically want to delete the various Types from the family after creating the Type Catalog. For these parameters that are not needed in the Type Catalog, it is good to open the text file in Excel and delete the columns for the undesired parameters, then resave the file as a “CSV (comma delimited).CSV” file. Rename the file extension from .csv to .txt after doing this. 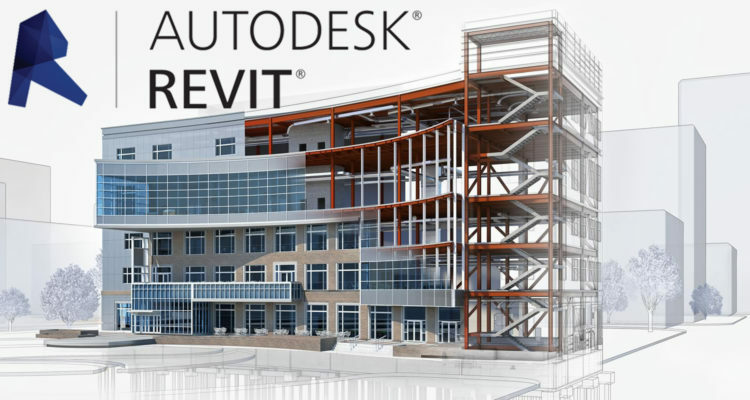 5.This Export option has been available in Revit since release 2012. 6.This is also the easiest way to start a Type Catalog for a new family once you get all of the parameters added to the family.